As you may (or may not) know, I am trying to focus on moving to a cruelty free lifestyle. (You can read my transition guide here.) I'm focusing mainly on cleaning & beauty products this year and part of that, I'm realizing, is also going eco friendly. I decided that I didn't need to be using something like a single use makeup wipe on the daily. First off, I'm not quite sure what those things are made of. Secondly, I'm already using some products that I know will treat my skin a little bit better. I wear makeup at least 3-4 times a week, often more, so I'm going through these wipes so fast! Now I imagine the bags and bags of semi-fabric-semi-paper-towel-probably-heavily-plastic wipes that I've personally thrown away. No more! Now I use a more sustainable option that is nourishing to my skin. So, how do you make it? 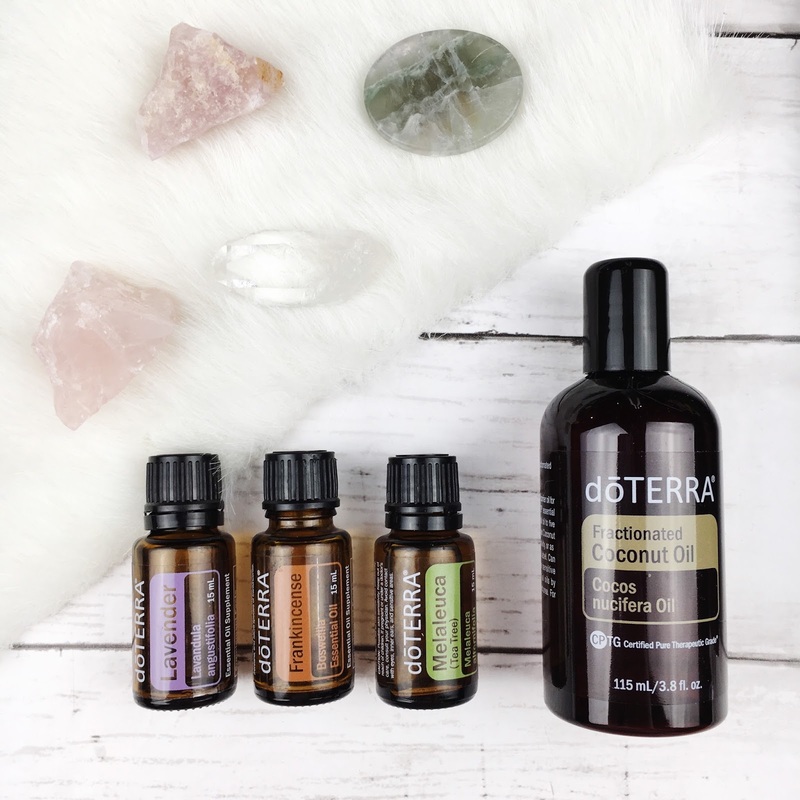 This DIY couldn't be simpler - combine 5-10 drops of your essential oil of choice & fractionated coconut oil into your container. The container I show above is only stainless steel on the outside, the inside is coated in plastic. If you choose to use a citrus oil be sure your entire container is either glass or stainless steel. The citrus oil can degrade the plastic and cause it to leech the plastic into your oil. Daily, I use lavender, frankincense, and melaleuca (tea tree oil) for my skin. The lavender scent is super calming at the end of the day! And here's how to put it to use! Use one pump in clean hands and massage into face to dissolve your makeup. It is seriously that easy. As a note, be careful around sensitive areas - like your eyes. Since the oil is heavily diluted, I personally haven't had any problems rubbing it around my eyes to remove mascara, etc. 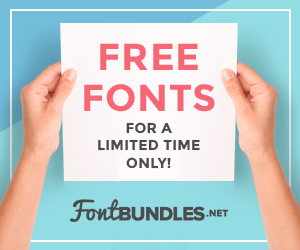 If you'd like more targeted application, use 100% cotton rounds. I've even heard of people sewing their own reusable rounds out of flannel and fleece to be more sustainable! After you've massaged the remover over your face to break up the makeup, run a wash cloth under hot water (not too hot!) and place over your face. Use this guy the same way you'd use your makeup wipe. You may want to invest in some nice baby washcloths since they are a bit gentler. Rinse the washcloth in hot water after use to remove the makeup & oil from the cloth. The best part is you can wash the washcloth with your clothes! Fractionated coconut oil doesn't stain fabrics - you won't find those horrible little oil stains like from an oily dressing on your clothes. You could use other carrier oils but you may find that they aren't that great for skin, for example virgin coconut oil is considered comedogenic (meaning it is known to clog pores). Fractionated coconut oil is thought to be significantly less comedogenic. As a person with oily skin who previously used virgin coconut oil on my skin, I can say that fractionated coconut oil has really improved my complexion! I'm sure the fact that I'm also using lavender, tea tree, and frankincense has helped too! 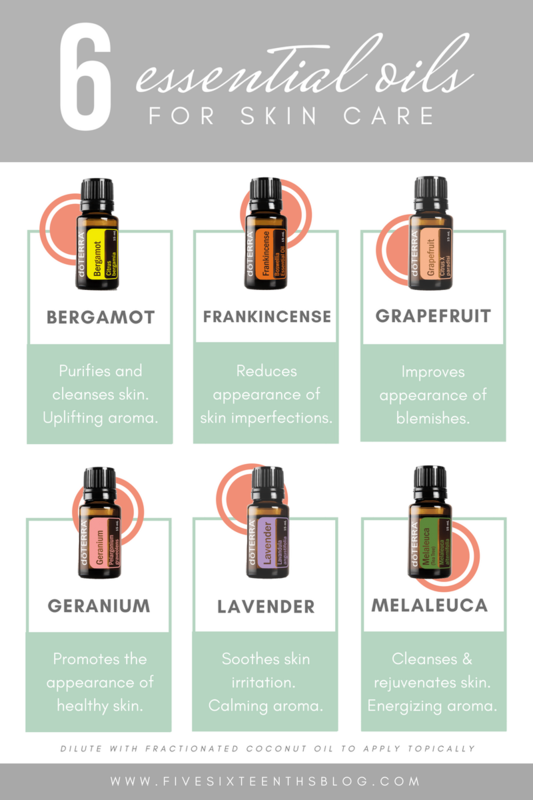 Above is a list of 6 essential oils perfect for use in your DIY makeup remover. Each of these oils is said promotes healthy skin & a side benefit is the amazing aroma each oil offers. It truly can make this simple act a mindful, self care ritual! My skin has evened out and my makeup routine is so simple now - check out my 15 minute routine here. Essential oils have become an integral part of my everyday life. 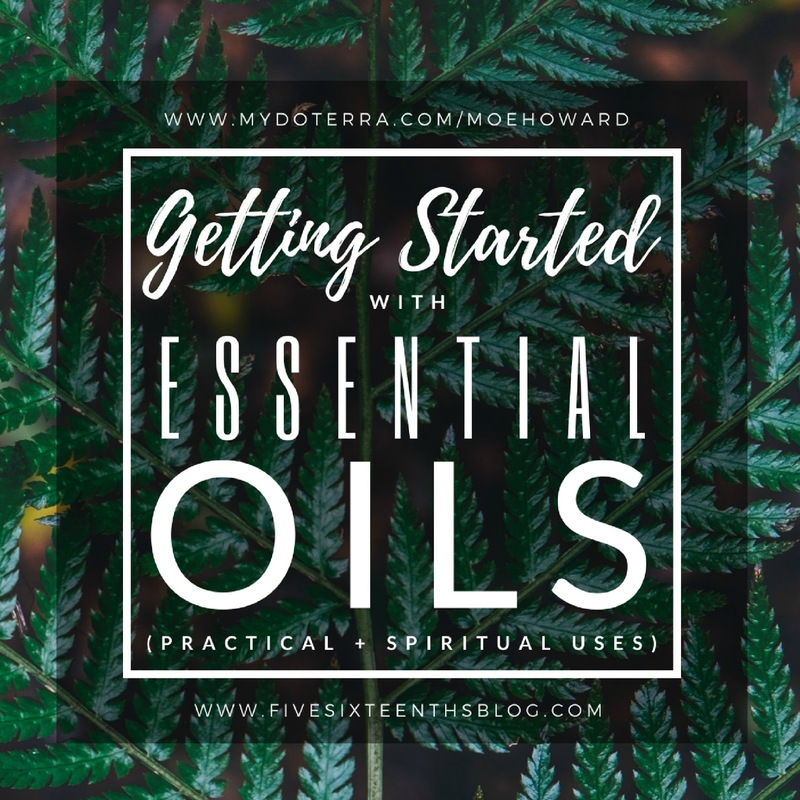 You can find the 8 ways I currently use essential oils here and sign up above to get my free ebook on using essential oils for practical & spiritual use! If you'd like to learn how essential oils can change your mind, body, & spirit shoot me an email, I'd love to chat with you! Follow along on Instagram and join the Five Sixteenths | Live Creative Facebook Group for more inspiration. 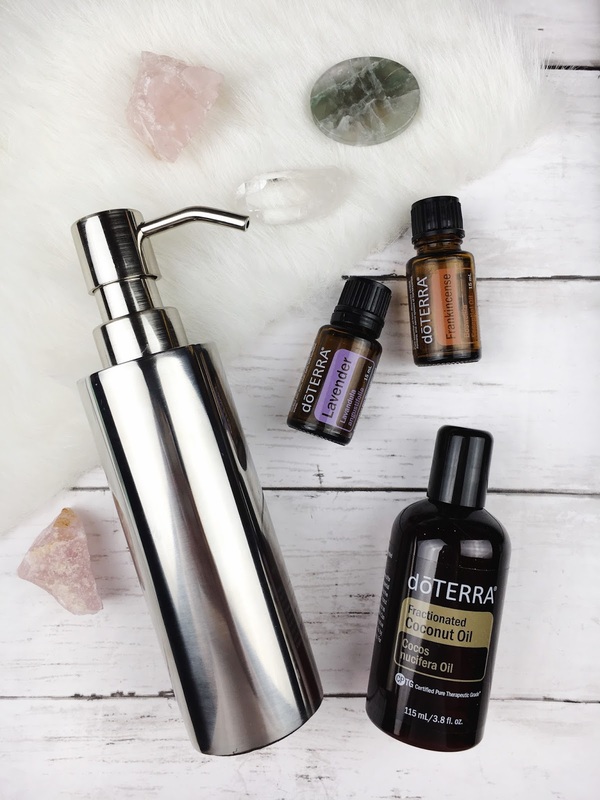 How do you use essential oils daily? 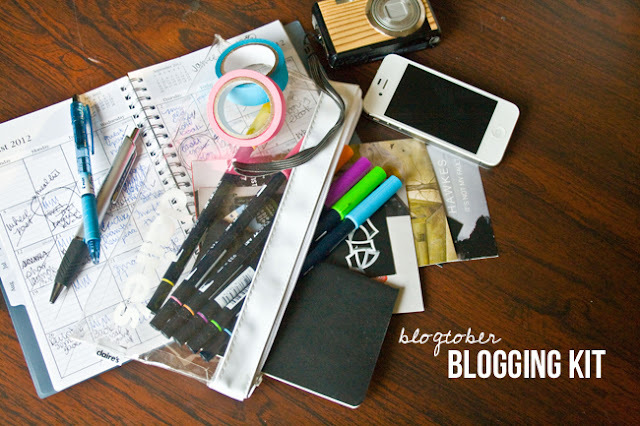 Are you switching gears with your beauty products this year? 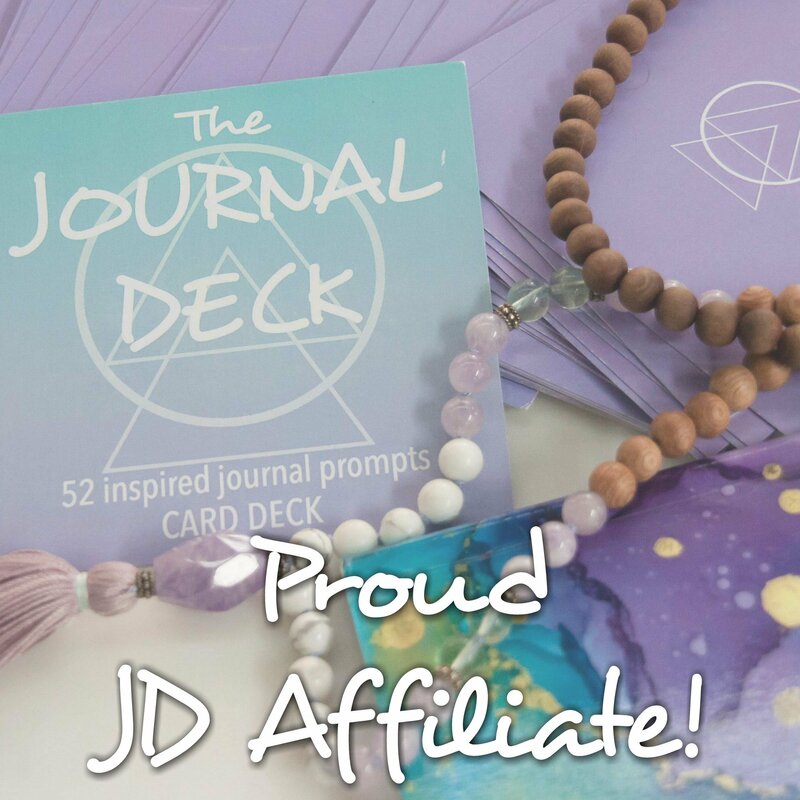 Ready to start your Essential Oil Journey?